Those of you who have read the blog before, know that I go back and forth on whether or not this is a site to get good tutorial information or just a site for inspiration. 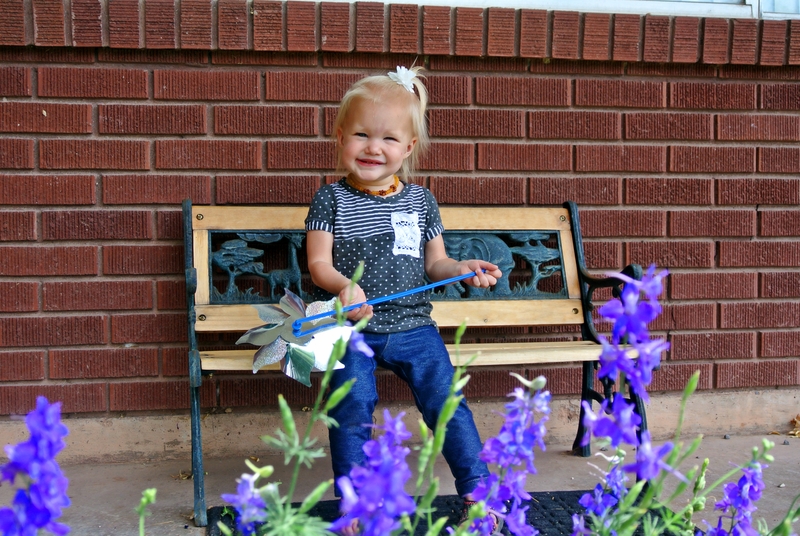 Well, as I was drafting patterns yesterday for my toddler romper, I decided to take some pictures and show you how I came up with the pattern. Sometimes it’s nice to see the other side of these cute outfits right? I don’t know. There are a lot of awesome tutorials out there, but not one for this kind of romper that I could find so you at least get this one. I also had a friend ask for more stenciling information so next time I do one, I’ll certainly map out the process. This is a place where I can write whatever I want, right? If I change my mind one too many times, it will be OK. Anyway, it’s about time this blog got some more LACE considering it’s name. 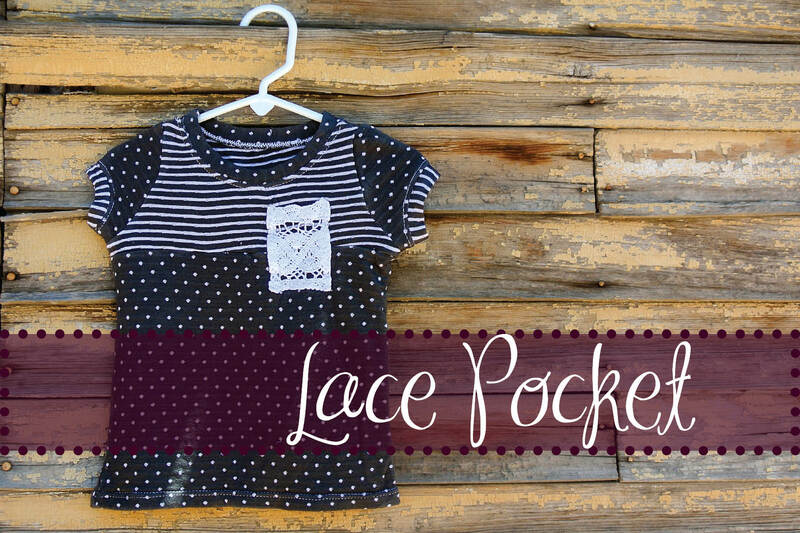 I just love how this lace pocket tee turned out. I got this fabric from Joann. It’s a really cool double sided knit. Stripes on the one side and polka dots on the other. I don’t usually find awesome knits at Joann, but I sometimes get lucky. I knew I wanted to do some color blocking with it since the two side obviously match perfectly and thus this shirt was born. I had it all cut out and laying on my livingroom floor and thought it needed some embellishment. I just happened to have all the material out for 5 projects and looked around and saw the lace that I was using for my capri inserts! It was a perfect fit. At least the material was a perfect fit. I didn’t do a wonderfully square pocket, but it still looks pretty great. I just cut out a strip and folded the edges under and sewed it on. I’ve been looking at store bought shirt pockets though, and they all seem to have some backing on the corners of the pocket so the base material doesn’t tear. I think I’ll do that in the future as I’ve had tearing issues with other garments. P.S. It’s really hard to take a good clear picture of white lace. I don’t know why, but I can never get it to focus and look right. Tips anyone??? 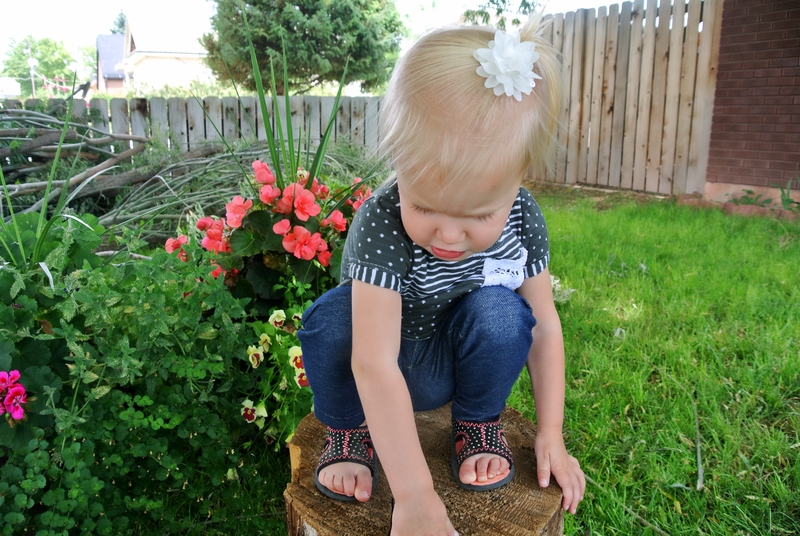 And here is the cute girl loving her shirt and loving being outside. If she could be outside all day long, it wouldn’t bother her a single bit. Lately, with her teething, it’s been the only place that she’s happy. The amber necklace helps a ton with her drooling, but I’m not sure about her pain. Also, those purple flowers are the ONLY flowers in my garden that are thriving… I’m a little sad. I need to work on developing my green thumb. I didn’t even plant them. They came up from seed from last year’s flowers. SWEET! I’ll take what I can get. I had to share this one because this is almost a good picture of the pouty lip that I get from her all the time. I think it’s really cute. She sure can stick it out pretty far to get us all to feel sorry for her. Like I said before, tutorials coming your way in the next couple of weeks. I’ve got one more boy shirt to post and then I’m all caught up! Sadly, I sent one of my favorite shirts to my sister for her little girl so I can’t do a tutorial about that one, but I’ll make up for it in future sewing for sure. I hope you are having a wonderful summer. Hug your kiddos and go outside and play! 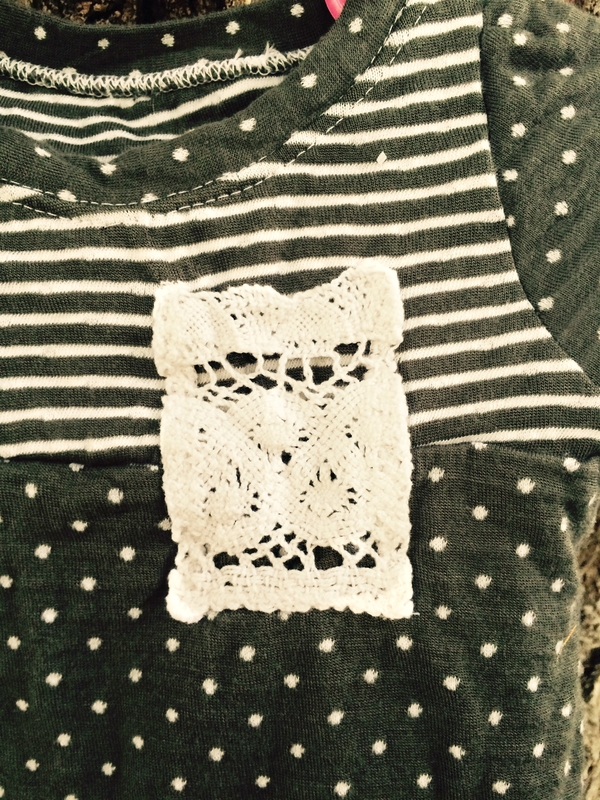 This entry was posted by ilikelace in Made It and tagged baby shirt, grey, lace, pocket, polka dots, toddler.